One of the nation’s two large government-sponsored backers of home loans recently revealed that it would tighten some of its lending restrictions for certain consumers. The company announced that it would change the requirements for both new borrowers and those who are refinancing existing home loans. Now the maximum loan-to-value ratios that it will allow is just 90 percent, down from as much as 97 percent in the past, and certain loans will require higher credit scores to be backed by the government-sponsored mortgage giant, based on Fannie Mae data compiled by Bloomberg Businessweek. 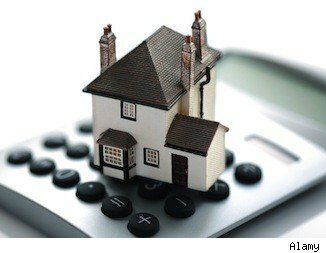 In particular, the tighter mortgage requirements mandate that borrowers of adjustable-rate loans, who were not cleared by the company’s Desktop Underwriter software program, will need credit ratings of 640, up from the current 620, the report said. Further, lenders will no longer be able to grant loans for those whose ratings are 40 points below other requirements based on their judgment of other factors. And on top of everything else, an expert noted that the company will also likely begin asking self-employed borrowers for more tax information in the future, the report said. Now, Fannie Mae will need to see two years of tax returns for both them and their businesses to verify their income. This change may be related to a software update the company applied to its underwriting program. Fannie Mae and Freddie Mac, both of which are now run by the federal government, back about two-thirds of all new home loans, the report said. Experts believe these tighter restrictions will be significantly problematic to the housing market. The real estate industry is still largely in recovery mode after the crash observed a few years ago, though there have been some improvements in recent months. Currently, housing affordability is at or near all-time highs thanks to low interest rates and prices, though prices are expected to rise over the remaining few months of the year.